Savvy Spending: Amazon: VicTsing Essential Oil Diffuser & Cool Mist Humidifier for just $15.99! Amazon: VicTsing Essential Oil Diffuser & Cool Mist Humidifier for just $15.99! 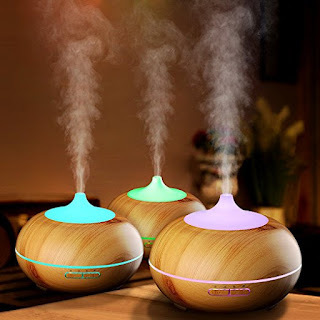 Amazon has some great prices on these Essential Oil Diffusers! You can get the VicTsing Essential Oil Diffuser & Cool Mist Humidifier in Dark Brown for just $15.99 when you use promo code DH28FTU6 at checkout. Or snag the VicTsing Essential Oil Diffuser & Cool Mist Humidifier in Light Brownfor just $15.99 when you use promo code 8LNY4R2Y at checkout.